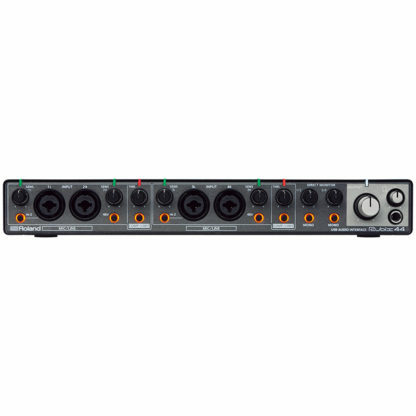 The Roland Rubix 44 is a 4-in/4-out USB audio interface offering high-fidelity sound, solid build quality and compact size at an affordable price. Rubix 44 offers a perfect balance of high-fidelity sound, solid build quality, compact size, affordable price, and crucial features for today’s musicians and producers. With support for high-resolution audio up to 24-bit/192kHz, Rubix 44 sounds clear and defined and is carefully engineered to have extremely low noise from input to output. 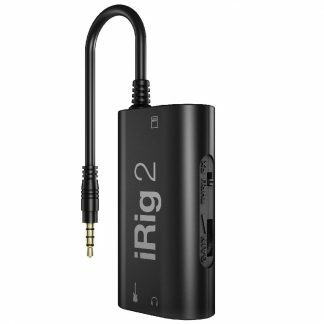 Its near universal USB support means it works seamlessly with Mac and PC computers, and even supports iPads, for the ultimate in portable music production and performance. Highly dynamic sources like vocalists and percussion instruments often need taming, especially when recording on location. Dynamics processors help ensure a good hot signal without clipping and causing unwanted distortion. Rubix 44’s built-on compressor/limiter provides peace of mind in the heat of a recording session. Rubix 44 is compact and ultra-flexible. 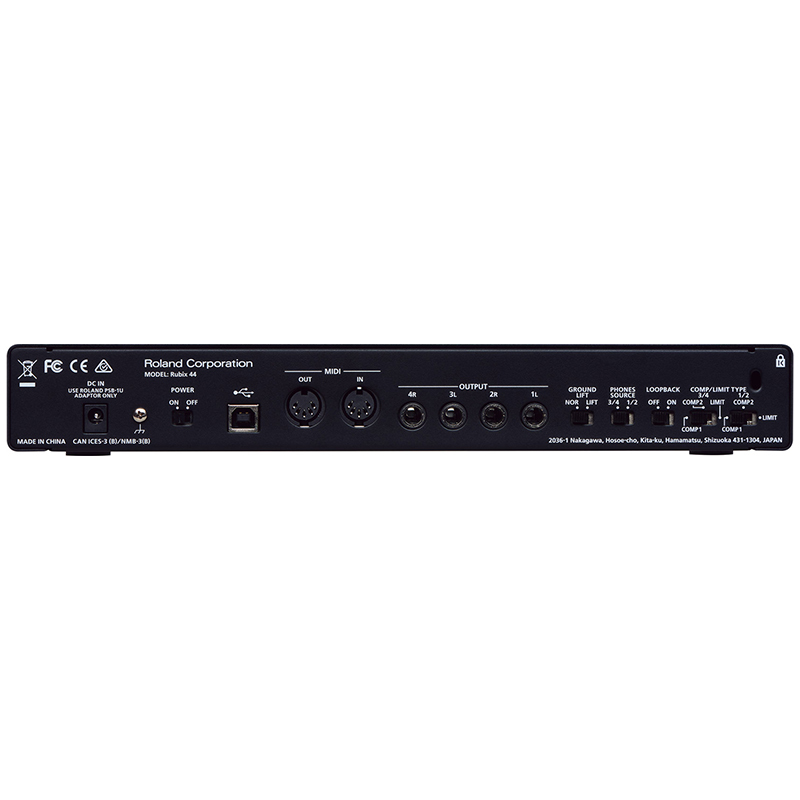 It has low latency class compliant drivers for Mac and PC, so it’s simple to get up and running with smooth, reliable audio performance. 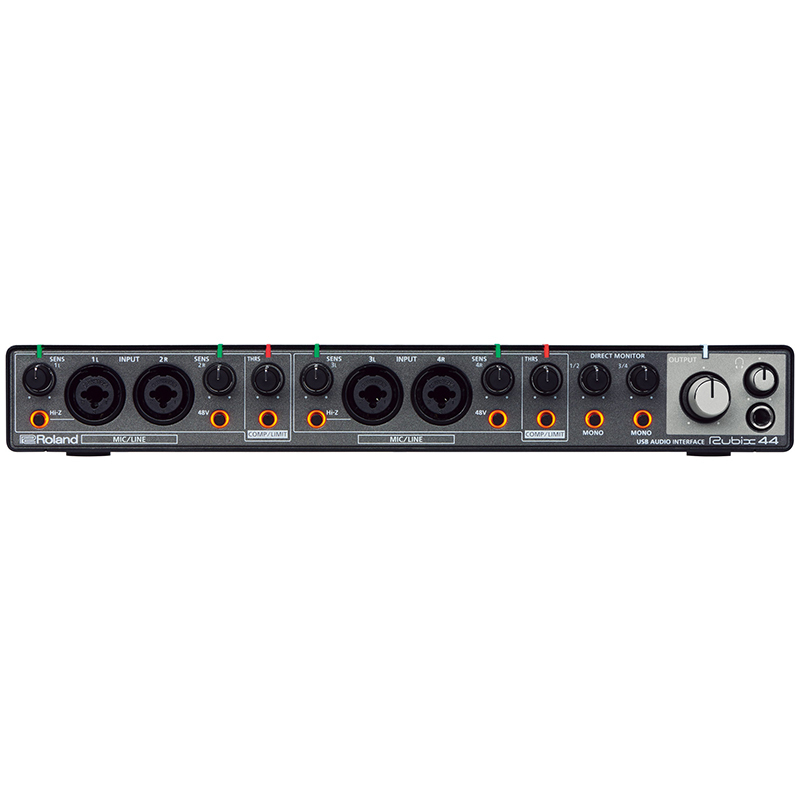 It’s got plenty of inputs and outputs for growing studio setups, and it also supports iPad giving you a compact system for on-location recording, on-the-go production, or live performance. It even includes Ableton Live Lite, powerful studio production and live performance software that works perfectly with Rubix 44, right out of the box.